You can't just drop your clothes inside the washing machine and have them come out clean. Once inside the washer, the clothes need to be circulated. This helps to expose all the surfaces of the material to the cleansing power of the soapy water inside the washing tub. Washing machines come with one of several types of agitators to help circulate the wash load. Washing machines have one of several types of agitators. Straight vane agitators are common on most top loading washing machines. These agitators consist of a single piece of molded plastic fit over the agitator hub. Vanes project from the side of the agitator. The entire agitator spins inside the washing machine tub, providing the cleaning action for the clothes inside. These types of agitators sometimes have problems with circulating the clothes that float near the top of the wash.
Dual action agitators are similar to straight vane agitators, but more efficient. Instead of a single piece of plastic, the dual action agitators are formed of two different pieces of plastic, a top piece and a larger bottom piece. The purpose of the top piece is to help circulate the clothes floating on the surface of the water in the washer and force them down toward the larger fins at the bottom so the clothes inside the washer tub circulate not only in a circular motion but also between the upper and lower levels of the wash chamber. Front loading washers agitate the clothes inside the washer by circulating the entire wash tub. The rotating action of the drum dips the clothes into the wash water and then pulls them out again. As the clothes reach the top of the agitator while spinning, then drop back into the wash water again. 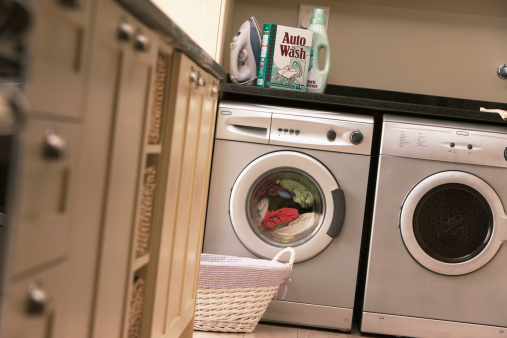 These types of washers need less water to operate than top loading ones and the agitation action of the wash tub is gentler on clothes than a plastic agitator. 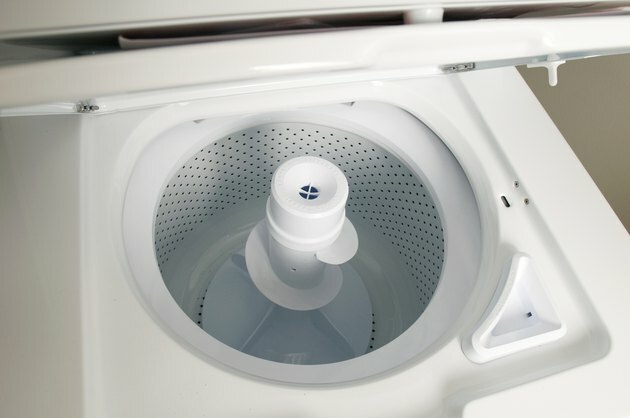 Instead of a plastic agitator or a spinning tub, pulsator washers use a pulse of water to help circulate the clothes inside the washing machine. The pulses are injected into the wash tub in timed intervals through powerful jets on the side or bottom of the washing machine. Pulsator type agitators are mostly found on smaller sized washers and portable washers.